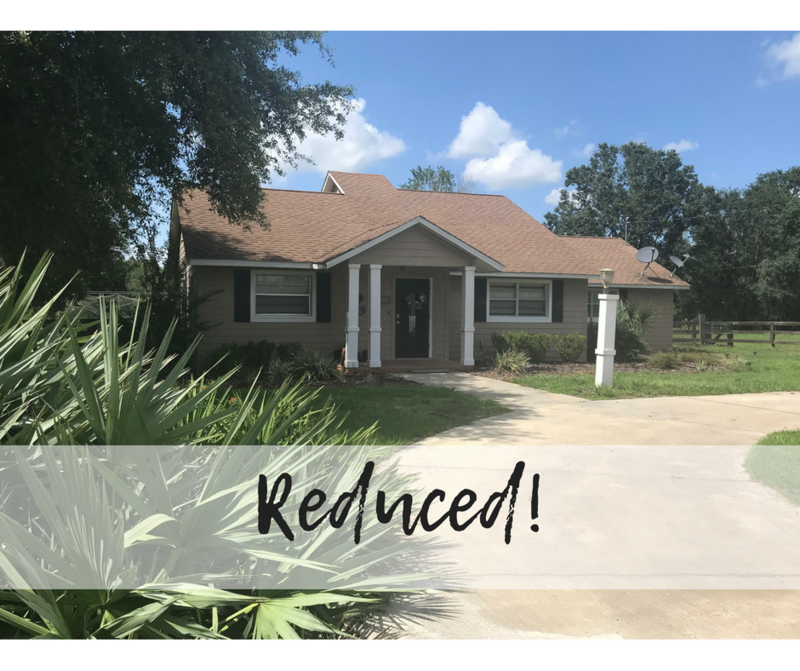 REDUCED TO $227,500! THIS BREATHTAKING 3 BEDROOM, 2 BATH HOME 2.5+/- ACRES OFFERS THE PERFECT COMBINATION OF CLASSIC ELEGANCE AND GRACIOUSLY APPOINTED EXCLUSIVE PRIVATE LIVING. The picturesque drive welcomes you to this secluded home with over 2500 sq ft. PROVIDING THE UTMOST IN PRIVACY and EXCLUSIVITY. Enjoy the very best of the indoors and outdoors beginning with the main living area featuring a serene view to your private acreage, open great room with an exquisite kitchen with tiled back splash, solid surface counter tops, stainless steel appliances, and breakfast bar. The enormous master suite includes a walk in closet filled with built in shelving, a bathroom with dual sinks, and lovely walk-in-shower. Other interior features include gorgeous crown molding throughout the entire home, two spacious bedrooms, a spa-like guest bathroom, beautiful laminate floors and a walk in pantry/laundry room. This property is adorned with gorgeous oaks, circular driveway, has a huge metal barn, a brand new above ground pool that was installed in March of 2018 and board fencing. This is a unique opportunity to acquire one of the most desirable homes and locations in Hardee County.